Mitch travelled to the Florida Keys in 1996, and much like many others before him, he never left. Leaving his native Chicagoland behind, Mitch spent the next 20 years making art, paddling countless miles, and living that beautiful Key West lifestyle. Over the years, and after many hours on the water, the idea to bring people out into this amazing environment was hatched while camping in a clump of mangrove trees one night.. Always looking for adventure on sea or land, and a passion to create images in remote places, led to the discovery of where his tours go. Follow an artist, backcountry photographer and outdoor adventurist on a kayaking safari that you won't soon forget. Mr. Nigel hails from Warwick, Rhode Island but spent the majority of his life living in the Lower Florida Keys. Sometimes a Pirate in reenactments here in the states and also Germany, he's good with a cutlass in case of any problems at sea. A founding member of the 12x12 club, Nigel's enthusiasm for adventure has made him to be a rich, boisterous character that is a fun to be around. A year after college, Christopher moved to Key West for six months to avoid the bitterness of the New England winter of 91/92. Upon realizing that a life without snow was possible, he made the decision to make his short time on the island a permanent one. Over the years, he has spent most of his time as a photographer, bartender, and adventurer. When not on the water during high kayak season, Christopher tends to travel the world and drink in everything life has to offer. "Life is a collection of experiences. Some safe, some dangerous and all worth experiencing." Tour Cost and Gear Checklist. The tour is $75.00 a person for the morning tour. Generally leaving Key West at 9am, returning around 1:00-1:30 (depending on people's paddling abilities, as well as environmental factors). Pricing for speciality tours and private tours vary, contact us with your ideas. Private family tours, corporate groups or have a focus on photography or fishing? How about newlyweds or celebrating an anniversary and wanting a private couples thing with Champagne? Or, an advanced adventure paddle out to the barrier islands...we can put any of it together. Instruction, lifejackets, small dry boxes and cold waters are provided. All kayaks do have a GroPro mount near the front of the boats. This is the ocean, and things do sink. It is your responsibility to watch your belongings and prevent them from going overboard. Search and rescue of gear that doesn't float, rarely goes well. Keep this in mind as you pack your gear. Call or text us at 305-393-6446 for booking information and availability. Use the handy message maker, if you have further questions and send by trusty email! Visit Red Mangrove Kayaking on Facebook and Instagram for daily news and images. Thank you! 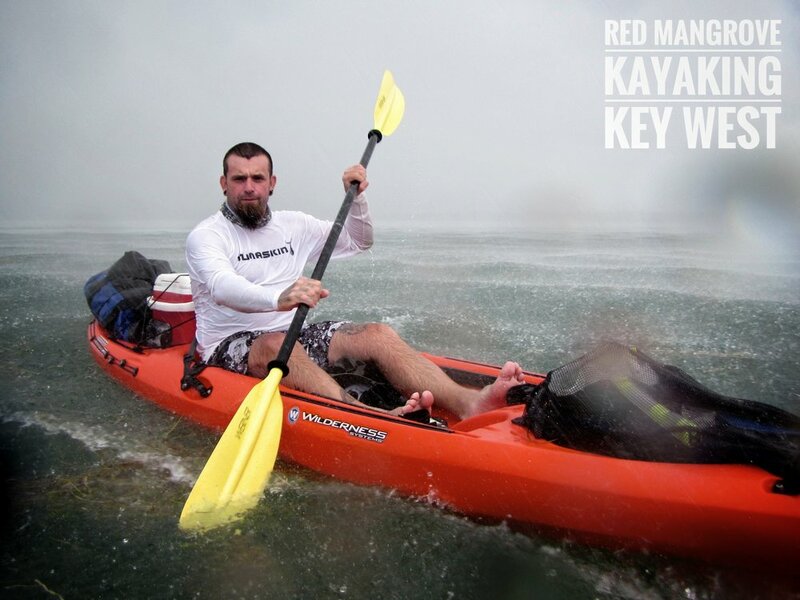 Thank you for your interest in Red Mangrove Kayaking!